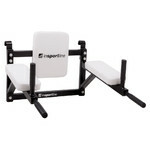 High-quality chrome-coated pull-up bar, can be mounted on wall or attached to wall bars, anti-slip. 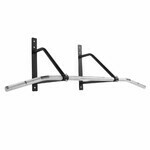 The Wall-Mounted Pull-Up Bar inSPORTline LCR-1115 is a multi-purpose bar for strengthening your back through pull-ups and chin-ups. There are four anti-slip grips, providing you with more training options. 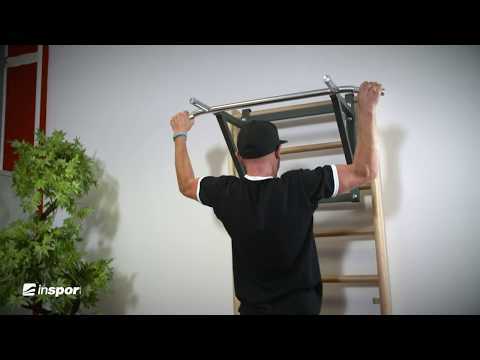 The pull-up bar can be either mounted on a wall or attached to wall bars. It is made of high-quality chromed steel with resistant surface. 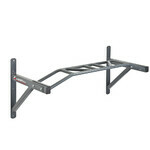 The weight limit of the bar is 150kg on wall bars and 200kg on a wall. 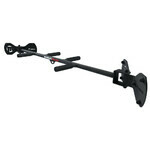 Suitable for home or gym use, the Wall-Mounted Pull-Up Bar inSPORTline LCR-1115 is an ideal tool for exercising with your own weight. How to Choose a Wall Pull-Up Bar? 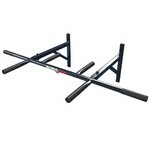 What Type of Pull-Up Bar to Choose?